The Tiger Conference is coming on Dec.11! The conference will bring together 400+ Ukrainian and world leaders, CEOs of leading companies, media, Members of Parliament, Diplomats and opinion leaders to exchange and share their views about Ukraine’s future in a changing world. 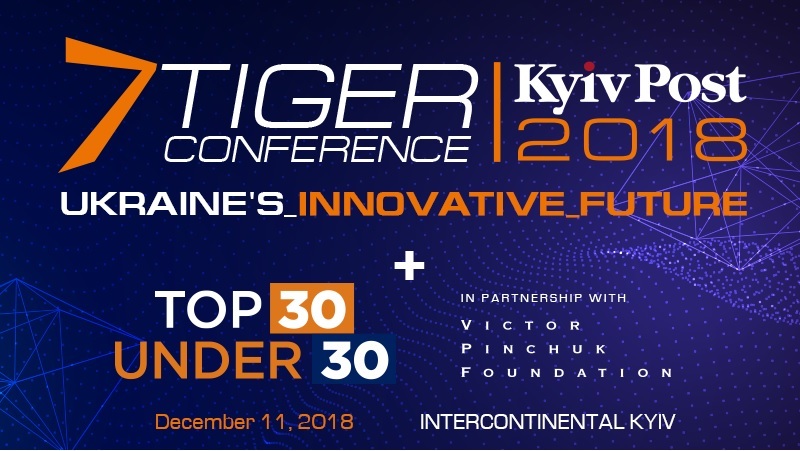 The Kyiv Post Tiger Conference 2018 “Ukraine`s Innovative Future” is coming on Tuesday, Dec. 11 at InterContinental Kyiv, followed by the evening gala awards ceremony honoring the top 30 Ukrainians under age 30.